(In commemoration of the anniversary of Srila Prabhupada's acceptance of sannyasa, we present an article written by him which was first published in Back to Godhead magazine, on October 20th, 1956). The Supreme Vedantist utters in the beginning of His Vedanta teachings the word dvau, or dualism. In the universe (loke) that contains lakhs and crores of different earths and planets, there are two classes of living entities. One is called ksara or the fallible entity, and the other is called aksara or the infallible entity. The fallible entities are the ordinary living entities or the jivas, whereas the infallible entities are the expansions of Visnu such as Rama, Nrsingha, Varaha, Kurma, Vamana, Baladeva, Kalki etc. The ordinary living beings are susceptible to the influence of material nature, but the infallible incarnations, or visnu-tattvas, are non-susceptible by the laws of nature. In the Varaha Puranam it is said that the Supreme Lord expands Himself by multi-forms of living entities. Some of them are called amsa or He Himself, whereas the others are called the vibhinamsa or He in His one of the potencies. The jivas or the living entities are therefore different potencies of the Supreme Lord whereas the Visnu incarnations as above mentioned are non-different from Him with all His potencies. That is the difference between the ksara or the fallibles and the aksaras or the infallibles. The ksara living entities are undoubtedly parts and parcels of the Supreme Lord and as such they are qualitatively non-different from the Supreme Lord, but so far as the quantity is concerned, there is a gulf of difference. The Vedantist, therefore, who proclaims that the ordinary living entities are both qualitatively and quantitatively equal with the Supreme Lord is certainly misguided for his not having consulted the Supreme Lord Sri Krsna, the original compiler of Vedanta. If Vedanta is an authority, one must accept its original compiler as the Supreme authority of Vedanta. Therefore, the followers of Sankara were known as the Mayavadins of the Benares school. They were counterparts of the Mayavadins of Saranatha. This Saranatha is adjacent to Benares and in the older days the Mayavadins of Bodh-Gaya, or that of Saranatha, were always in debate with the Mayavadins of Kasi. The Mayavadins of Saranatha, or the Buddhists, did not recognize the existence of spirit soul and they preached matter as all in all. Whereas the Mayavadins of Kasi preached that spirit soul is the basic principle of existence and matter is a superfluous false representation of the Real Spirit. So the fight was there between the two sections of Mayavadins. As a result of this, the Mayavadins of Bodh-Gaya or Saranatha were gradually driven out of India and the Mayavadins of Kasi became predominant in India. Gradually these Mayavadins took up Vedanta philosophy after they had come out victorious in the fight with the Buddhist Mayavadins and as such the Mayavadins of Kasi began to be known as Vedantists. These Vedantists interpreted Vedanta in the impersonal feature in order to take the then converted Buddhist philosophers into their own fold. Lord Buddha preached nothing of the spirit and He stressed on the principles of ahimsa only as the preliminary and basic qualification for spiritual culture. We have already discussed this point in our article Lord Buddha in Back to Godhead. Sripada Sankaracarya gave a further push to spiritual realization with the conception of Brahman, the first vision of the Supreme Lord. (1) ‘Brahman’ (2) Paramatma and (3) Bhagavan – all these three are one and the same Absolute Truth, but they appear to be different by the different stages of realization only. How these different stages are realized is explained by the Supreme Vedantist Sri Krsna, who alone only knows Vedanta in its reality. Thus, He first explains the realization of Brahman in the ksara and the aksara aspects. The ksara, or the fallen souls as we are, have to learn Vedanta for knowing the aksara or the infallible Brahman. Aksara means Brahman – aksara paramam-brahman. The ksara are also undoubtedly Brahman in quality, but they are not Paramam-Brahman because they are fallible to the influence of maya (nescience). O my infallible Lord, had it been so that the innumerable living beings are by themselves all in all without anything Supreme, then they would not have been put under Your subjection. Even though it is accepted that the living entities are parts and parcels of the Eternal Being, still they are under Your subjection. Their qualitatively being one with You is never to be given up because that will alone make them one with the Absolute. It is being so, persons who consider that the ordinary living being and the Supreme Lord are equal in all respects are suffering from a malady of a wrong thesis, polluted with a poor fund of knowledge. Thus, the quantitative difference between the living being is ever to be maintained, even after the attainment of mukti, because after mukti only, the nitya-yukta or the eternal upasana service begins. The ordinary yogis in the state of trance experience the presence of the localized aspect of Paramatma. This Paramatma is Isvara, or the Supreme Lord, but not the jivas or the controlled being. Paramatma is the Super Soul. The thesis that the Paramatma and the atma are equal and the same is a wrong theory. Had it been so, then there would be no need of adding the word param or ‘the superior’ to the word atma. That makes the difference clearer. 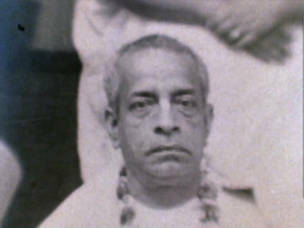 Paramatma is avyaya i.e. aksara or kutastha, without any change. He does not become subjected to the conditions of material nature. This is the truth in all Upanisads. Both the Paramatma and the atma have been compared with two birds sitting on the tree of this material body, but one is observing the activities of the other as a witness and not taking part in the action. The neutral observer is therefore Paramatma and the stage actor is the atma. When the atma stops his material activities in the state of nirvikalpa-samadhi, he is called a perfect yogi. So this yogi is a better spiritualist than the jnani who will, after many births of speculation, become a mahatma to observe the lotus feet of Vasudeva. These bhakta-yogins are better than the ordinary yogins and their feature of spiritual realization is still more greater. The bhakta-yogins accept Sri Krsna as the Purusottama, which is clearer than Paramatma realization. The Absolute Truth is realized by the jnanis as impersonal Brahman, by the yogins as the localized Paramatma and by the devotees as Bhagavan, Who is full with all the potencies of Brahman and Paramatma as confirmed in all the scriptures including Bhagavad-gita. Thus, transcendental realization of Sri Krsna is the highest realization of Vedanta. Sri Krsna is the highest realization of visnu-tattva because all other incarnations are, though equal in potency, either plenary parts or parts of the plenary parts of Sri Krsna. But Sri Krsna is the Primeval Lord and the cause of all causes. That is the verdict of Brahma-samhita, Bhagavata and Mahabharata etc. But we should always remember that there is no difference of potencies between the different amsa incarnations of Godhead. Realization of Brahman and Paramatma is also a transcendental mellow (rasa) which is called santa-rasa, a transcendental stage where the transcendental activities are non-manifest. Manifestation of transcendental activities is visible from the transcendental dasya-rasa and this rasa increases more and more in the sakhya-rasa, vatsalya-rasa and madhurya-rasa. The Supreme Lord Sri Krsna is full with all the twelve mellows. Out of these twelve rasas, five are direct transactions with the Supreme Lord, whereas the remaining seven are indirectly connected. Kamsa, Jarasandha and many other enemies of the Supreme Lord Sri Krsna dealt with Him indirectly in the bibhatsa-rasa, or the method of fearfulness. But because that rasa, or mellow, was employed indirectly to the Supreme Being, His enemies were also awarded Brahman sayujya-mukti i.e. becoming one with the Lord in existence. The impersonal monists aspire after this Brahman sayujya-mukti which is obtained even by the inimical jivas. Therefore, mukti or liberation is a by-product of devotional service. The yoga system is also mixed up devotional service. As long as the jnanis only indulge in dry speculation, they have no chance of mukti. When they also mix up devotional service with metaphysical speculations, it is only then that mukti, or liberation, becomes possible. But for pure devotional service, neither jnana or yoga is necessary at all. Such processes may be helpful to a certain extent, but they are not absolutely a necessary requirement. On the contrary, such processes sometimes become a great hindrance to the progress of pure devotional service. Sannyasa is the process of the jnanis or yogins, but for the devotee there is no necessity of accepting the order of sannyasa. Devotional service can be offered from any stage of life and by devotional service only, one can obtain the result, if he at all desires, like that of jnana, yoga, karma, tapasya or any other thing in the category of yajna. The Vedanta conclusion is therefore like this – primarily there are two classes of living entities namely the ksara and aksara. The ksara are the ordinary jivas and the aksara is the Supreme Lord. The Supreme Lord is realized by the ksara-jivas in three different phases. The phases are (1) Impersonal Brahman (2) Localized Paramatma and (3) The Supreme Lord Bhagavan. This realization may be described with the example of seeing a mountain. The Himalayas, when they are observed from a long distance, appears like big cloudy object. When one goes nearer, they appear like a big hilly land, but when one actually enters into the region he sees the Himalayas in all its natural beauty with all the living entities residing there. Similarly, if Vedanta is studied through one’s A.B.C.D. academic qualification of speculative habits, one can know the Absolute Truth as the Impersonal Brahman or something just opposite to our sensuous knowledge. When Vedanta is studied from the angle of vision of a yogi, who has completely stopped sense indulgence, the Absolute Truth becomes visible in his own self as the Paramatma feature. But above all these, when Vedanta is studied from the angle of Sri Vyasadeva (who is an empowered incarnation of Godhead) the original compiler of Vedanta-sutras and its annotation Srimad Bhagavatam, there the Absolute Truth is revealed in His substantial feature, or Param Satya. The Vedanta-sutra begins with the sutra, janmadyasya yatah and with this sutra also the genuine commendation Srimad Bhagavatam also begins. Srimad Bhagavatam excludes carefully the four primary principles of the common Vedas, namely the practice of religiosity, the planning of economic conditions, the fulfillment of sensual desires and at the end to get salvation by mental speculation. The Vedanta-sutras and Srimad Bhagavatam are one and the same thing and their purpose is explained in the Bhagavad-gita in the chapter of Purusottama-yoga. A perfect Vedantist is a devotee of Sri Krsna. Impersonal Brahman is the glowing effulgence of the Supreme Person, as light is to fire. Bhagavan Sri Krsna, the Purusottama, is fire Himself. Brahman and Paramatma are therefore emanations of Sri Krsna, and that is the verdict of the great philosophy of Vedanta-sutras – so much adored all over the world along with Bhagavad-gita.